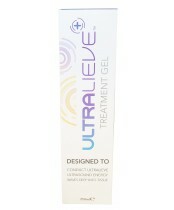 Ultralieve+ focuses on using the power of ultrasound waves at home as a therapy healing method. Ultralieve+ believes in personalized and direct therapy for you so that you can keep moving, pain free! Physiotherapist recommended Ultralieve+ products have shown to significantly aid in the healing of sprains, strains and muscle injuries while relieving pain as fast and safe as possible. Their products aim to use these ultrasound waves to start the natural healing process with therapy tailored to you!